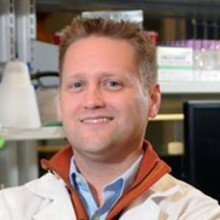 Molecular epidemiologist Michael Scheurer, Ph.D., at Baylor College of Medicine in Houston, is studying the genetic profiles of ependymoma patients to unravel the causes of the rare disease and the potential for targeted therapies. “If we can identify factors that predispose people to ependymoma, we could ultimately intervene to prevent the tumor from developing,” says Dr. Scheurer. Dr. Scheurer is leading a Risk Project with Terri Armstrong, Ph.D., Senior Investigator of the Patient Outcomes Program for the CERN Foundation, to investigate risk factors associated with ependymoma. The Risk Project is an extension of Dr. Armstrong’s Ependymoma Outcomes Project, an online survey for adult and pediatric ependymoma patients and the parents of pediatric patients to learn what life is like for people with ependymoma before, during and after treatment. While the Ependymoma Outcomes Project analyzes the patient’s experience with ependymoma, the Risk Project aims to answer why ependymoma developed in the first place, explains Dr. Scheurer. The Risk Project uses an online questionnaire and saliva sample to gather data. The questionnaire addresses life before ependymoma. Questions include residential history, diet and physical activity history, weight and weight gain history, exposure to environmental hazards, personal medical history and family medical history. The saliva sample – a kit sent to patients who mail back their samples – allows investigators to analyze DNA for genetic risk factors, characteristics and markers associated with ependymoma. Dr. Scheurer plans to use these important studies as a basis for his research hypothesis, with the understanding that ependymomas are more rare tumors than gliomas and may have different risk factors. The study is currently analyzing patients diagnosed as an adult (over age 18), but will be expanding to enroll ependymoma patients diagnosed as a child (up to age 18). For pediatric patients the questionnaire will extend to their parents to include their personal and family medical history and even pregnancy-related questions for the mother, such as exposure to tobacco, infections acquired and medications taken during pregnancy. The study will also collect a saliva sample from parents. The Risk Project will enroll patients for an estimated three to five years and combine its data with other epidemiology studies to increase the power of its analysis. “This is truly a novel project because it’s solely focused on ependymoma, rather than having it lumped in with other gliomas,” says Dr. Scheurer. Dr. Scheurer is grateful to the CERN Foundation for its community connections and connecting families and patients to research studies. “We are able to recruit patients for studies using the CERN network of patients, families, and providers, which has greatly accelerated our accrual,” says Dr. Scheurer.